As I’ve mentioned a fair few times on here before, the Leica M6 is a camera I’ve owned before. 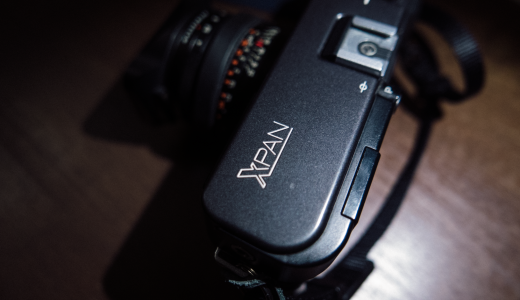 I had one some time ago – way before 35mmc – that I bought to use along side a Voigtlander R2A. Then, through a patch of using my rangefinders less about 5 years ago I ended up selling the Leica M6 and keeping the Voigtlander. The R2A became the only rangefinder I then owned for a good few years until finally I jumped ship back to Leica and bought a Leica M7. The funny thing was, I never really regretted selling the Leica M6. I thought briefly about buying one again before settling on the idea of the M7, but in the end that lack of regret pushed me in the direction of an M7. The Leica M6 just hadn’t suited me as well as the auto-exposure R2a. So that same – or at least similar – AE is what I wanted in a Leica. So what you might ask am I doing with one now? Well, in short, I feel I know these Leicas a bit better now, and the way I use them has grown. I wanted to find out if the Leica M6 deserves the positive reputation that precedes it and if therefore I was wrong in my dismissal of it, or if I was right to not regret selling it and it’s just not the camera for me. The Leica M6 can actually be thought of as two distinct models. The first one is commonly – though not officially – know as the Leica M6 Classic. The later model is known officially as the Leica M6 TTL. The camera I now have is actually a later Leica M6 TTL, but since I’ve owned both I thought I might as well cover the two distinct models in this one post. I say distinct models, as actually by Leica’s standards, there’s quite a lot that the separates them, they aren’t even the same size! 1.1 Cheap by nature, but not by name…? 1.2 So what gives the Leica M6 its credibility? 4.1 But what about the battery? The M6 Classic, was the first standard shaped Leica M camera to have a light meter built-in. It is commonly thought of as being effectively a Leica M4-P with a rudimentary twin LED meter. A battery compartment containing 2 LR44s to power the light meter sits on the front of the camera in the space the more elderly Leicas had their self timer, though of course by the time of the M4-2/P, this lever and the timer behind it had been removed. 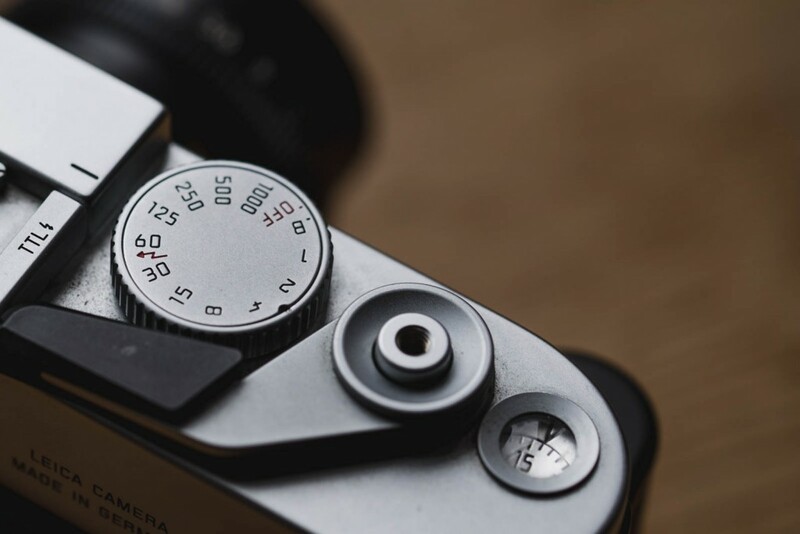 Other similarities to the M4-P include the quick loading mechanism, the angled rewind with crank, the plastic tipped film advance, the plastic tipped frame line preview lever, the hot shoe, and the six-in-three-pairs frame lines in the finder. Of course many of these features predate the M4-P, but they were all carried forward to the Leica M6 giving it a similar feel. Some things did change from the M4-P though. The design changed very slightly, especially around the frame of the viewfinder. The M4-P has a recessed viewfinder, whereas, the front of the Leica M6 is flush to the viewfinder finder glass. The construction of the M6 was different too, it was made with cheaper bits. Cheap by nature, but not by name…? 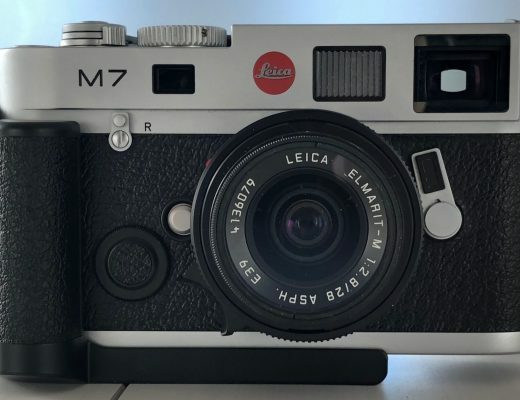 The M6 sits as a bit of an oddity in Leica’s history to my mind. I mentioned this briefly in my post about the M4-P. The Leica M6, at least as far as I can work out, looks to be the “cheapest” made standard shape Leica M mount camera. The M4-2 was the first Leica M to be made using the build methodology that was designed to cut manufacturing costs after the disaster of the Leica M5. The Leica M6 – the camera that came two models later – took the cost cutting a step further. 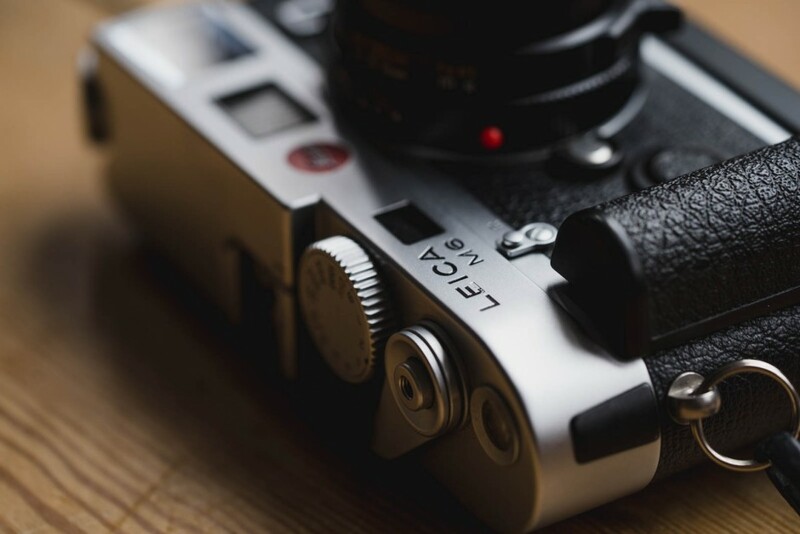 The M6 is the only Leica to use less expensive metals instead of brass for its top and bottom plate. It also used some plastic parts within the shutter counter, especially it seems in models made somewhere in the late 90’s – though apparently this was later rectified (ref – cameraquest). The cheap crappy feeling plastic dial on the back does it no favours either. The point is, with the M4-2 and M4-P being labeled as cheap, and the M6 not – despite its cheaper-still parts – what separates them, and why are they regarded so differently? 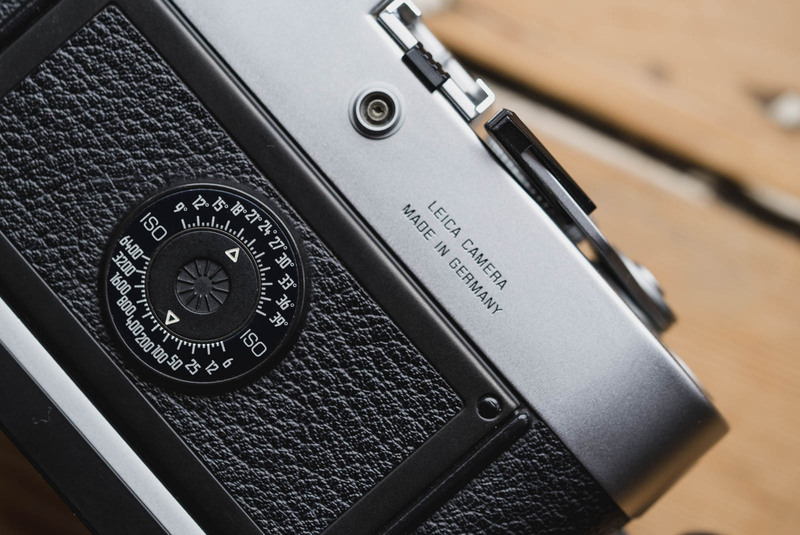 In short, whilst some M6s were made in Canada like the M4-2/P – thanks I suppose to the success of those cameras – manufacturing of the Leica M6 was largely returned to Germany. It seems that this return of manufacture to Germany, despite these further cost cutting exercises sees the M6 more clear of the “cheap” model reputation. This looks to be based purely on the hands that made it, which – as mentioned in my post about the M4-P – I find very odd. I know Germans are positively-stereotyped as having high manufacturing standards, but is it not possible that Canadians are just as capable? Maybe I’m missing something, and maybe someone can shed more light on this for me? Of course, short of the plastic parts that might break, the chrome plated cheaper metal that often results in a bobbling of the finish on top of the camera (and the crappy plastic dial on the back) in reality the Leica M6 is of course a wonderfully made tool with very little to separate it from the rest of the Leica family line. In fact, it could actually be argued that the M6 is one of the most popular Leica Ms today. So what gives the Leica M6 its credibility? Having touched on the slightly contradictory nature of the quality of the Leica M6’s build location and quality, there must be more to the M6 that elevates it above the likes of the M4-2/P? Well, there is one quite obvious factor, that being its built-in light meter. The presence of light meter itself is just a part of the equation though, another part is the camera it’s in. 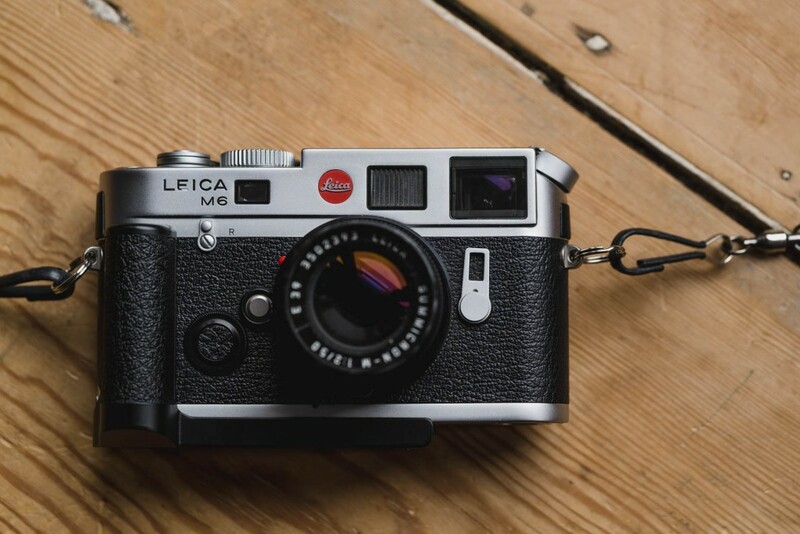 The Leica M6 – as mentioned – is easily recognisable as being an M3 derived shape and sized camera, this is unlike the M5 or CL that came before; this definitely works in the favour of the M6. The last part in the equation, at least how I see it, is the nature of the light meter. Whilst the rest of the camera industry was going nuts for automation and overcomplicated functionality, Leica – it would seem – learned from the “mistakes” of the M5 and kept things ultra simple. Through the process of writing these Leica M reviews I feel I have both been learning about the cameras as well learning a bit about the people who use them. 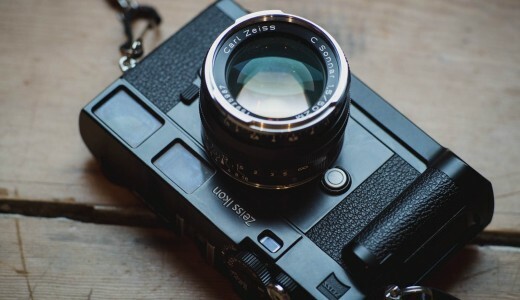 Whilst I don’t like to generalise too much, one of the things that seems to have united many Leica users in the past – and maybe even today – is a keenness for simplicity, and perhaps a dislike of change. The M5 was too different, Leica users balked at the different size and shape, but there was also a big change in function. The M4-2, a camera that many would argue saved the Leica rangefinder, was a step back to the familiar, both in terms of how the camera looked, but also how it worked. I guess what this meant for Leica was that if they were going to put a light meter in a camera again, it needed to not change the camera’s shape and size, but importantly it also needed to not feel like it changed the way the camera functioned outside the inclusion of the meter. The meter in the Leica M6 Classic certainly managed to be simple. Like the M7 that came after, and unlike the M5 that came before, the meter in the M6 takes its reading from a large spot in the centre of the frame. Like with the Leica M7, this allows you to take meter readings in a similar way to how you might with a spot meter, but gives more of an average of a slightly larger area. These meters are often called centre weighted, but I think of them as just big spot meters. One of the fundamental issues with the meter in the Leica M6 is what it feels like it is telling you to do. Over exposure is indicated by an arrow pointing to the left in the viewfinder, and as such it feels logical that to decrease the exposure, you need to turn the dials to the left. This is fine for the aperture control, as rotating the dial in the direction it feels like the arrow is telling you to does decreases exposure. The problem is, thanks to Leica trying to keep the function as close to the cameras that came before, turning the shutter speed dial in the direction the meter tells you to increases exposure. Additionally to this, the shutter speed dial – thanks again to Leica sticking to a familiar design – is the same size as the dial on the M3/2/4 etc. So whilst adequately sized to change reasonably comfortably when away from the eye, the dial somehow feels fiddly to turn when the camera is up to the eye. This means that to alter exposure using the shutter speed dial, it is easier to take the camera away from the eye. The problem then being that you can’t see the light meter is inside the viewfinder. When I had my Leica M6 Classic – as I mentioned in my Leica M7 review – I felt I struggled with this. It felt like achieving a correct light meter reading wasn’t quite the intuitive process I felt it could have been. My only comparison at the time was the Voigtlander R2A, a camera that even in manual mode both tells both the selected shutter speed and the shutter speed it thinks most appropriate in the viewfinder, not even the M7 does that! 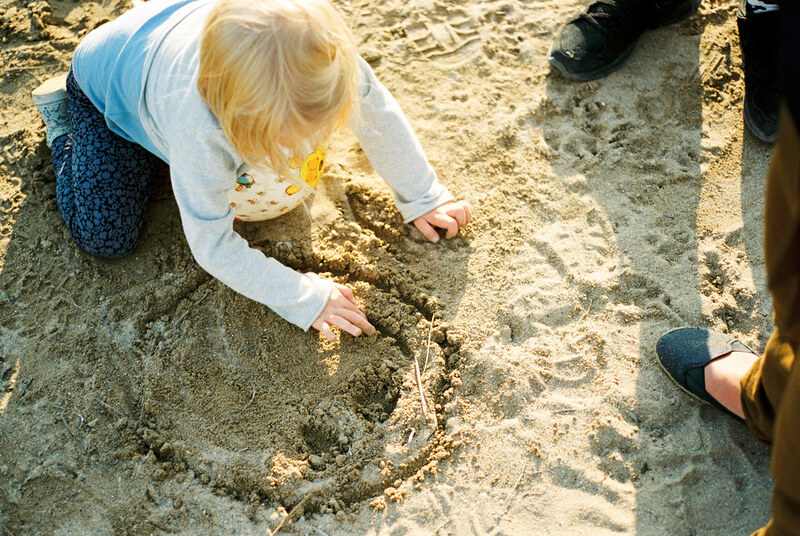 Ultimately, this was why I sold the Leica M6. By comparison to the Voigtlander, the light meter made me work much slower than I liked. It was – as mentioned – remembering this frustration with my early Leica M6 that pushed me to the Leica M7 when I returned to the brand not so long ago. Firstly and most significantly, the Leica M6 TTL shutter speed dial is bigger and rotates in the opposite direction. What this amounts to is a camera that feels much more sensible to operate at eye level. Rather than having to fiddle around with a tiny shutter dial, the M6 TTL dial can be adjusted with the forefinger of the right hand. Since the rotation was also changed, when the over exposure LED is lit and pointing to the left, pushing the shutter speed dial to the left with said finger adjusts the exposure in the right way. 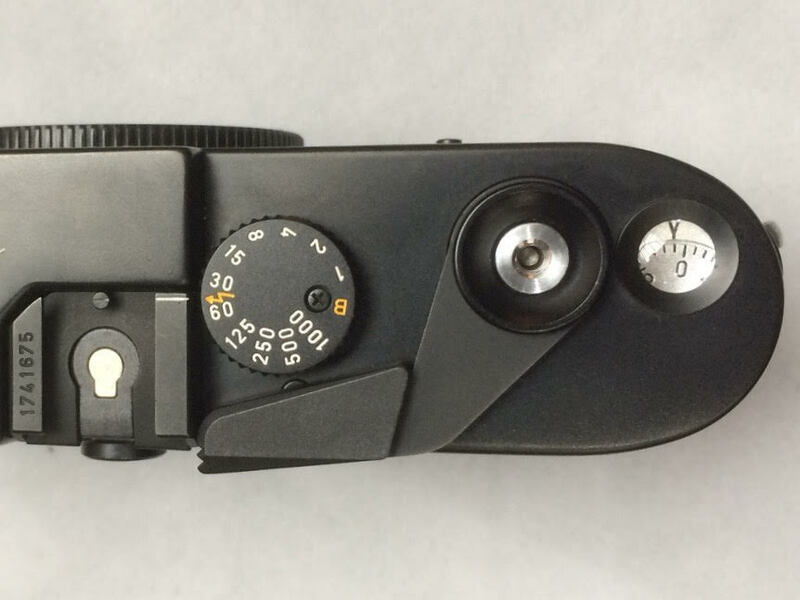 Of course, this change in the direction of the dial is something that seems to cause a great deal of confusion to some Leica users – especially those who are used to the older cameras. There is I suppose no pleasing everyone, and this likely why the earlier Leica M6 Classic retained the original dial rotation. Additionally to the changes in the dial, the M6 TTL also adds an extra 2ev of metering range. With it now operating down to -2ev, it is ever so slightly better in lower light. …So the Leica M6 TTL solves all the problems of the first model then? Well I’m not sure it does. Firstly, it depends on perspective. Some people will prefer the new dial size and rotation, and some will prefer the similarity to older cameras. But more than that, one of the big problems of introducing an ultra simple light meter to the standard Leica M is always going to be the lack of information in the viewfinder. Even with the Leica M6 TTL there is zero indication of either selected shutter speed or aperture. Clicking through the dial, when you get to the flash sync speed of 1/50 – because it’s nestled between the 1/60 and 1/30 – you feel a slightly shorter throw to the click. But other than that the only way of knowing the shutter speed or aperture is by counting the clicks and knowing where you started. Now don’t get me wrong, this click counting is a process I’ve been known to advocate with some cameras, namely the Rollei 35se, but that camera has less speeds to loose count of, and because it is so small, the compromises are easier to accept, and in fact become part of the joy of the camera. To me, a Leica shouldn’t feel compromised. All that said, I seem to be one of very few people who feels this way about the Leica M6, in fact, I’ve found it quite hard to find complaint about it. The reality is, for most, the simplicity of the meter is a joy, and not a problem in the way I describe. What problems it does pose are seemingly overcome by people with little thought; most just seem to get on with finding their own way to make the meter work for them. The reason for this is the same reason I don’t quite get on with it. It is – as Leica designed – the cameras innate simplicity that wins it fans. You see, the reality is, something that solves a problem in a too simple and maybe slightly incomplete way is much less likely to cause complaint than something that tries to solve a problem in a too complicated way. Just to go on a tangent for a moment… In my day job, one of the things we do is user experience design. When doing so, we often talk of two principals, principals that I call “simple up” and “complicated down”. In my view, people who design things, all things, either work within the framework of one principle or the another. “Complicated down” is basically summed up by trying to solve every potential problem, it is about making something that works in a vast array of ways to cater for the tastes and desires of all the potential users. “Simple up” is about breaking the concept down to the most basic question, and using the most simple possible solution to answer it. Neither approach is necessarily wrong, but the outcome is potentially very different. Things that have been designed to solve everyone’s problems tend to be filled with settings and options, they tend to be programable and adjustable so as to fit the needs of individuals – think modern digital cameras. Alternatively, by breaking down the problem to the most simple solution, the outcome might be almost overly simplistic, but is also instantly useable. My preference is definitely for the latter simple up approach. This is pretty much the basis of my arguments for the Leica M60. The Leica M6 is definitely what I’d call a “simple up” design. So, whilst it might not solve the problem of a built-in light meter perfectly for everyone – myself included – it does provide a level of function that through simplicity is instantly understandable. Additionally, and what I find quite fascinating with overly simplistic designs like that in the Leica M6 meter, is not so much how basic it is, but more how people adapt to it. Since it doesn’t allow the user to set it up or change it to suit their needs, it doesn’t prescribe its function. Instead, it provides something that people can make work for them in a variety of ways. For example, many folks seem to use it as a rough guide rather than a shot by shot aid, a meter to reassure about a guessed reading rather than give an exact one to work from. I’ve also read reports of people taking readings off their hand or an appropriately reflective surface to get a single reading for a bunch of shots within specific shooting situations. Many seem perfectly happy with the counting of clicks between settings, and some seem to just check their settings methodically and use the camera to shoot quite slowly. None of these are the wrong way to use it, they are just what suits the individual user. And of course this is what makes the Leica M6 so popular. I’ve adapted to it too. I personally found taking a reading of an appropriately reflective object the most suitable process for me. Knowing the meter reads from a large circle in the middle of the frame in the same way as the Leica M7, I was actually quite quick to adapt. 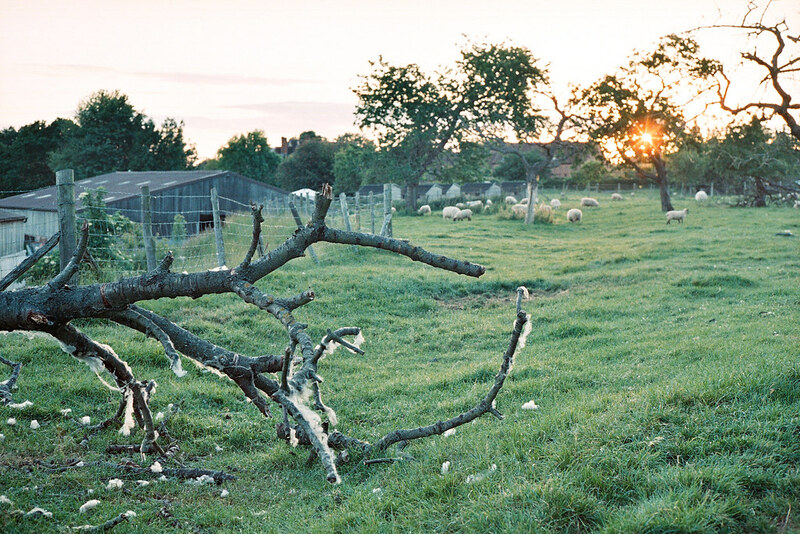 For example, I did a lot of landscape shooting with Portra 400 with it whilst I was on holiday. Because it takes an average from the centre it doesn’t need to be precisely pointed at an exact shade I might want to meter from. Instead I just point it at something broadly sensible, take a reading, and get on with shooting. In the case of the landscape work, I often just took a reading off the closest patch of slightly shaded grass then shot until I felt the light had changed. I got over the problem of not being able to see the settings by just setting the camera blindly at the eye, then changing the cameras settings reciprocally to those that were suitable for the subject. I am actually pretty happy shooting in the way I have described above, so you might be wondering why I spent the first half of the post moaning about the light meter? Well, the big problem is I am also happy – in fact happier – shooting how I do with the Leica M7. As I describe in the my M7 post the auto exposure gives me a quick way to select and lock in the exposure I want. Its automation is less about it selecting a shutter speed for me, but more about the fact that it shows me a shutter speed in the viewfinder, and how this in turn allows me to quickly select and lock in a speed with the camera to my eye. The reality is, shooting how I shoot the Leica M7 with the M6 would be incredibly slow, and since that’s a way I like to shoot quite frequently, it does feel like the Leica M6 is missing something compared to the M7. Of course, I do realise this is a preference of mine, not really a complaint of the camera in the strictest sense, but it is what makes the Leica M7 a better camera in my opinion. The M7 just feels like a more complete product to me, it still feels very much like a simple camera, it just takes things one step further in function. It is this small step that opens up a whole new series of ways to use it, ways that I personally appreciate and enjoy a lot more than the ways in which I adapted to the Leica M6. But what about the battery? I know what most people who shoot a Leica M6 over an M7 will now be thinking now though, “What about the M7 being reliant on batteries”. Well, having recently gained a couple of Leica M6 shooting friends, and assuming some of the people who read my website might also favour it, I feel I have to be ever so slightly careful how I word this. It strikes me that there is – at least in some cases – a bit of Leica fuddy-duddy brainwashing going on. There’s an idea that for a Leica to be good, it needs to function without a battery. Or at least, not largely cease to function if the battery runs out like the M7 does. I find this notion archaic. To me, what is important is how a camera helps me to take photos within the realms of normal use. And besides, it’s 2015, are we not used to things needing batteries yet? Ok, I accept that a Leica is traditionally a mechanical thing, but for the sake of higher function, I’m happy to forgo some of that tradition in at least one of my cameras. At the end of the day, of course everyone is free to make the own choice about which camera suits their needs better, but for me, greater function and two spare batteries in my pocket is the choice I take over less function and the camera still working in case I forget those spare batteries. As you might have worked out, I am in two minds about the Leica M6 cameras. Part of me appreciates their simplicity, I can certainly see how they work so well for other people. The other part of me can’t help feeling like something is missing. I think the problem for me is that my earliest experiences of Leica M6 happened at the wrong time. I wasn’t as confident in my metering as I am now, so something like a Voigtlander R2a felt an ideal fit to me. Since then I have mostly reinforced this perspective. I bought a Leica M7, not to mention a whole heap of compact cameras. These compacts were mostly auto exposure, and the best – or at least my favourites – were those geared up to allowing me to meter and shoot in the way I do with the M7. As such, shooting with a camera that has a built-in meter, but doesn’t work for me as effortlessly as the M7 does, feels like it falls short of what I personally want from a metered camera… or at very least what I have programmed my self to like in metered cameras. I think it would have been all to easy for me to write a post about how I don’t like the Leica M6, how I think it seems to have cheated the Leica M4-P by it being seemingly less well constructed, yet escaping the “cheap” Leica name the M4-2/P has. I could have moaned about the plastic bits that I usually moan about more too… But moreover it would have been very easy to talk about how it just doesn’t suit my needs as well as either the Leica M-A or Leica M3 at one end of the scale and Leica M7 at the other. But really, that wouldn’t have been the full story. The full story is that whilst I do feel that way about the M-A, M3 and M7, I also get the Leica M6, and have very much enjoyed using it. I think this would probably be more true of this later TTL version than my old ‘classic’, but I’m sure I’d happily get on with either really. In use I’ve felt that I’ve quite readily forgotten about what I see as their shortcomings – at least for the most part – and when I have hit a shortcoming, I’ve found my way round it with little issue. In short, the Leica M6 classic and M6 TTL are brilliant cameras, wonderfully simple things that just work, and don’t take much getting used to… Just don’t ask me to part with the Leica M7 in favour of one of them, head to head, I just prefer the M7 as a metered Leica. The Zeiss Ikon – The Ultimate AE M-mount Rangefinder…? great review, i love my m6! Another excellent review Hamish, but brain washed by ruddy daddy’s, why I ought a! Do you know what I’ve not used any other Leica except the M6 TTL so maybe I would prefer the M7 too, I don’t want to try it though because I’m happy with what I have. What ever works for you though. Great work! Simply fantastic review as always Mr H !! Appreciate your thoughtful review! I have just recently started shooting “modern” Leica film cameras (m6, m6ttl, m7 and MP) and still learning my way with each of them. As a kid 40 years ago I shot m3 for many years, and went through Nikon f3, canon eos 1v, then to digital from 20D to 5Dmark ii. Have ditched digital (except for I phone 6, now a favorite of mine) and have gone all in on Leicas (and Mamiya 7 and 7ii). Having more fun than ever! Keep up the good work! What a thought provoking post Hamish. I had to go back and make notes so not to miss some of the points you make. Would it be fair to say that the M6 was the first Leica which was bought by photographers who had disposable income as opposed to those who were pro photographers who depended on their camera as a tool of the job? If that were the case then the supposedly ‘cheap’ build quality is not an issue for the vast majority of users. Over the years I was often bewildered how it is that most second hand Leicas are in mint condition. My conclusion is that most of the cameras were never used more than for a few holiday snaps. Reliability would never have been an issue. The meter is another thing. If we shoot using the built in meter without compensation, then auto exposure would produce the same result. Therefore the M7 on auto would be the same as M6. When shooting manual, the meter is only a guide therefore a hand held meter is not a lot less slower. The click count for shutter would be no big deal in that case. If shooting flash it would not be an issue either. The battery thing is a really good point too. It is not like you are spending several weeks on the moon. I love your comment on the complicate/simplify issue as it is one which sums up the whole overcomplicated digi camera vs basic film camera debate. I find it odd that Leica decided to change the orientation of the shutter speed dial. That shows a certain disdain for earlier users. On ergonomics, the best camera I have ever had or used by far is a Yashica FR. Everything is perfect for where the fingers fall naturally. I truly was at one with camera in those days. Hi Jeremy. Don’t confuse “cheap” to make with “cheap” to the end user. Honestly I don’t know if it was cheap to the end user, but that is a little separate from my point. I’d always thought M4-2/P are thought of as the “cheap” leicas because of their build quality, but maybe they were also cheaper to buy. If that was the case, and the M6 escaped this by being more expensive, then that only goes to emphasise my point. If the M6 was also a lower cost to the end user, then again, it’s confusing that it also isn’t regarded as one of the “cheap” Leicas… Follow? In terms of condition and use, perhaps. But they are also well made enough to last very well. Even the “cheap” ones aren’t particularly prone to failure. A “cheap” built Leica is still a more hardy tool than the average camera in my opinion. Shutter dial. Well, that’s definitely one side of the coin, but as I say the later dial is just so much more logical. In design, sometimes the choice is to look forward for attracting the new user, or look back at supporting the legacy. Both have their pros and cons. Thanks for your in depth thoughts Jeremy, they always bring something more to the table! Worry not, I understood that you were referring to cheap build quality when compared to earlier models. I remember back in the late 70s there was a lot of talk about the possible demise of Leica and their compromise in manufacturing standards, not the least being built in Canada. A couple of years ago or so, I decided to try to go mechanical only. I really enjoy the beauty of engineering on Nikon’s F & F2 (F being my favourite) and Canon’s F1. For RF beauty the Contax iia with Sonnar 50/1.5 is almost perfect but just beyond that is the Leica M2. A friend of mine had one and having played with it, I was convinced that the hype was not just hype. I did handle an M6 several years ago but just briefly. My pal’s M2 won me over though. In spite of having many fabulous cameras, I realised that the M2 was in a different league of finesse. Another thing which swung it for me was the ZM lenses. That way I could have a great 35mm rangefinder coupled with Zeiss optics. I have a Sonnar 50/1.5 (I’ll be interested to see how it compares to the earlier one on my Contax iia) and an f2 Biogon 35. Of course there was always the Zeiss Ikon M mount camera which seems to be as good as a Leica M but I suppose at the time I was using the Contax G2 for small format film and didn’t feel the need to go mechanical. I suppose ergonomics is all according to getting used to a given camera. I think the only quality camera with truly awful and awkward handling (in my opinion) is the Hasselblad. Obviously designed to work well from a mechanical point of view but horrible to hold and shoot. That, my friend is another rat hole I’ve gone down with this discussion. Sorry! I started my Leica fondness with an m6 classic, I updated the finder to an MP finder with arrows and dot and bright white square and patch. 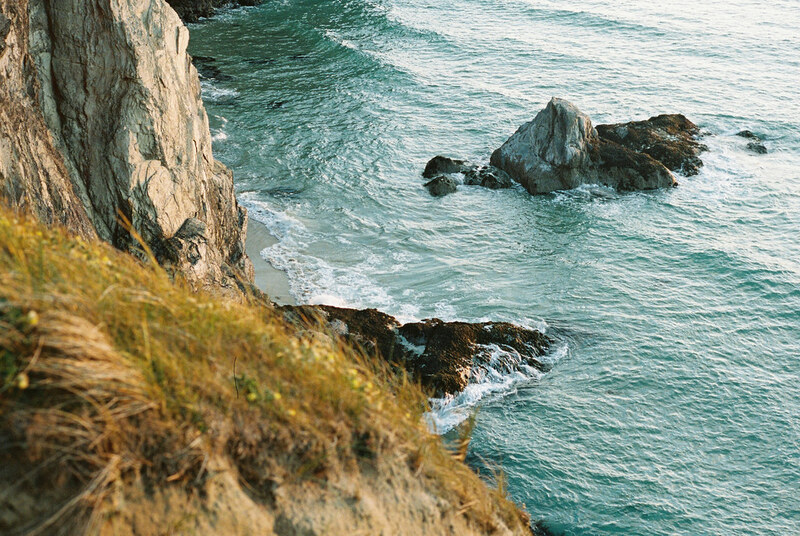 I thought at first it wasn’t for me and now it’s what I grab along with my canon ql17. 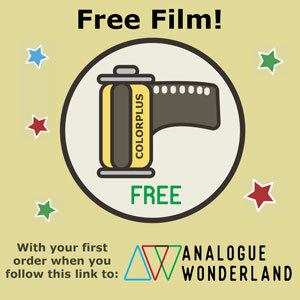 I am now in the process of getting an MP so my son (10) can hopefully Learn he in and outs and enjoys years of film to come. Keep up your reviews as they’re a joy to read! That’s interesting, so the MP finder and meter fit in a M6 classic? I do wonder if the height of the M6 ttl was just an exercise in getting people used to it for the M7… Pure speculation though. My first film Leica was a M6 TTL. Fantastic. Actually it was my first film camera period. The metering is simple and easy to translate. I rarely put a flash on top and when I did, it is in 35mm f5.6 manual mode. I have run out of batteries and used the camera still thankful for its mechanical construction. One time was a sunrise on a glacier fed lake in the mountains. A couple of my favourite photos are from that instance. This makes it nostalgic for me, I have a new Leica film camera now and the M6 sits on my shelf waiting. Thanks for the memories Hamish. 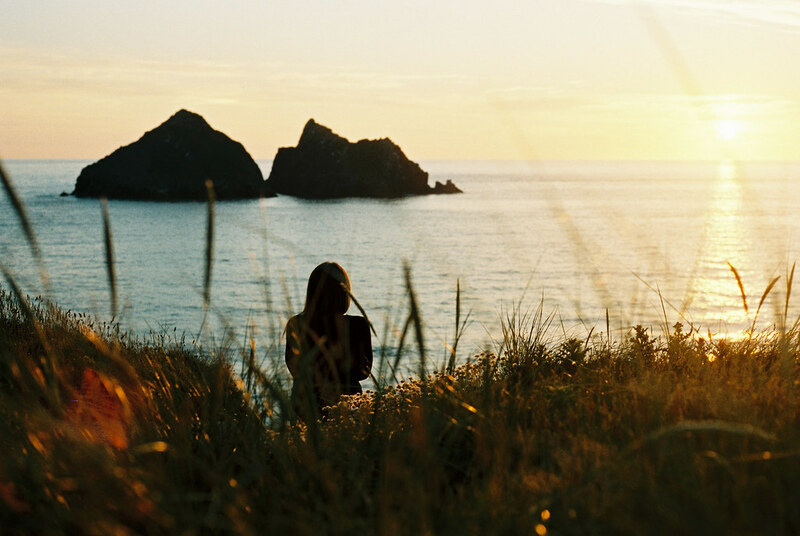 I scored a Leica M6 a couple of weeks to satisfy one of my photographic bucket list goals. I too was concerned about not being able to turn the shutter speed dial at eye level compared with the more expensive ttl model. However, I’m happy to report that I can turn the classic dial with my index finger alone at eye level. It just takes good technique and a little practice. Its all about finger/hand position. A fascinating read. I am new to the Leica world but certainly not new to photography. I recently purchased a new black Summilux-M 50mm f/1.4 and it is remarkable to say the least. The grip accessory in your photographs looks like a useful addition and I am wondering if this is a Leica product or if it made by another manufacturer. I currently own an M4 and M6. Really great post about the beloved Leica M6. Personally I own a M6 Classic and the camera is really a joy to use. Sometimes I wish the time wheel would be a bit bigger so it is easier to change exposure time. Links to relevant content always welcomed, thanks! !